Una versión en español de este artículo está aquí. On Monday, in what advocates are celebrating as a major win for the community land trust movement, the Department of Housing, Preservation and Development (HPD) released a Request for Expressions of Interest (RFEI) for groups interested in forming community land trusts using city-owned property. A community land trust (CLT) is a model of non-profit land ownership in which a board of community stakeholders governs the use of land, while regulations ensure the permanent affordability of the rental or home-owner housing on that land. Several other cities already support CLTs, but New York has lagged behind. In the past, advocates have criticized the de Blasio administration for continuing with the city’s longtime practice of transferring public land into the hands of private, for-profit housing developers using time-limited affordability agreements. According to advocates, such a transfer creates the risk that developers may one day privatize. Mission-driven nonprofit developers also argue that they can achieve deeper levels of affordability than developers who seek a profit. 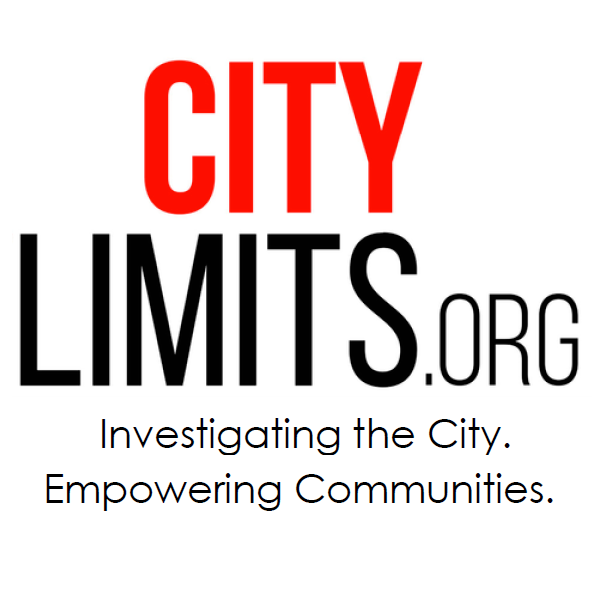 Many tenant, homeless, and community advocates have called for the creation of CLTs to ensure permanent affordability and the democratic control of housing, and a growing number of groups throughout the city are in the process of trying to obtain land from the city or private owners to create CLTs. For its part, the de Blasio administration has said that it was open to the idea of CLTs, but still had questions about their feasibility. In a gesture that suggests it has been sincerely listening to advocates, the de Blasio administration is now giving groups the opportunity to submit proposals detailing how they would develop and manage CLTs. “The CLT’s land ownership, paired with a governance structure that reflects the interests of CLT affordable housing residents and the broader community, can offer a unique housing model that empowers residents and neighborhoods,” writes HPD in a press release. Proposals are expected to describe the specific geographies and constituencies that the proposed CLT would serve, the applicant groups’s financial strategy, governance structure, operations plan, and other details. The city will consider proposals both for rental and homeownership opportunities, so long as they conform to existing HPD subsidy programs. Proposals are also expected to detail what kind of financial support the groups would need, including subsidies, tax abatements, technical assistance, marketing, compliance monitoring, or assistance developing a board. HPD says it is interested in applicants with affordable housing experience, though both existing CLTs and proposed CLTs can apply. There’s no saying how much public land or financial support HPD will ultimately offer. The RFEI notes that the city reserves the right not to pick anyone’s proposals—or take any action at all. Nevertheless, advocates are thrilled by the announcement. William Burnett, a board member of Picture the Homeless, says their organization is “excited that the city is moving forward with plans to execute this model,” and emphasizes the importance of CLTs as a strategy to prevent tenant displacement and homelessness. Paula Segal at the Community Development Project of the Urban Justice Center says that many community groups are well poised to take advantage of the city’s invitation. She also noted a lot of CLT organizing is taking place in neighborhoods where the potential for a rezoning have spurred discussions on how to best create deep and permanent affordable housing, including the South Bronx, East Harlem and Bushwick. “Hopefully this will lead to a huge blossoming of the CLT landscape in New York,” Segal says. Answers to the RFEI will be accepted until February 28. More information is available here. This all sounds nice, but actions like this in the past have resulted in poorly maintained properties, which ultimately cost the taxpayers to fix. Sooner or later it becomes a burden when the city reclaims the property. The next step is now for HPD to create a mandate for all new housing to have a 100 unit of housing to 1 Community Land Trust (or its equivalent such as Parks community garden, etc). This will create a much needed start to critically needed green spaces in NYC. An important step for our communities. There are many successful models for example cooperative Homesteading that have secured affordable housing for New Yorkers accompanied by important open space like community gardens, land trust and urban farms. If I’m reading the comments correctly, some people may be confusing community land trusts with conservation land trusts. They are different. The conservation land trusts are a vehicle for land owners to sell land to non-profit organizations, and thereby get a tax deduction. The land trusts typically keeps the land out of development and lets people enjoy the land–typically for passive recreation and other low-impact uses. The similarity is that the land is held by a nonprofit org and kept out of the speculative market. I disagree with rjg above. The similarity is that the land is utilized for the benefit of the community and not just to enrich certain private interests. The trick with both is to define what these benefits will be, and to manage the property in a way that achieves these benefits. The de Blasio administration moved to answer concerns that rezonings, no mater how carefully constructed, can exacerbate displacement pressures in low-income neighborhoods. A uniquely open process is shaping a proposal to rezone the increasingly rent-pressured neighborhood. Difficult decisions on affordability might lie ahead. Some community groups fear that rezonings will force low-income residents out. City Hall says rezonings are needed to prevent further loss of affordability. Amid a lack of clear evidence, any risks of the de Blasio rezonings will be borne primarily by low-income communities of color.